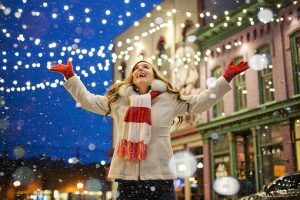 You may not want to admit it, but now’s the time when businesses should be gearing up for their Christmas marketing. We know, the children have only just gone back to school and we mentioned the C-word! It has to be done, though. You’ll need a decent lead-in time to write the content for, design, and print your brochures, flyers, catalogues, and posters, and refresh any branding you have. The last thing you want is summer leaflets hanging around long after the sun has gone. If you’re revamping your branding, you’ll also want to ensure the new image isn’t diluted by old branded items such as letterheads, business cards, brochures, menus, flyers, and uniforms. 1. Shred your old marketing material securely – to ensure you have the space for your new campaign, and to ensure the old messages are not still getting out there. This is particularly useful for the hospitality and retail sectors, where offers change with the season and what works in summer most definitely doesn’t in the autumn and winter. Destroy any old branded items – including branded USB sticks and other media, and uniforms. If you’re changing your branding, you don’t want people holding on to the old brand. It also affects your security as a business. What if the wrong people got hold of your staff uniforms and used them to con your customers, for example? Getting them shredded ensures this can’t happen. Shred old staff documents – clearing space for any documents you may need when you take on temporary staff in the run-up to Christmas. With the new, strict rules on data handling brought in by the General Data Protection Regulation (GDPR), handling personal data such as names, addresses, phone numbers, emails, and bank account numbers is in the spotlight. It must be done correctly, or in the most serious cases, businesses risk a fine of 20 million euros or 4% of their annual worldwide turn-over, whichever is higher. Getting an audit chain and a certificate of destruction from a shredding company which upholds the highest standards helps ensure you stay on the right side of the rules. Destroy old customer records and correspondence – make space for Christmas stock and records from new customers. Ensure your customers’ personal data remains secure by using a company where staff are checked, such as Taclus Confidential, and where you can prove an audit chain if there is an investigation. Your business reputation is precious, so take care of it.